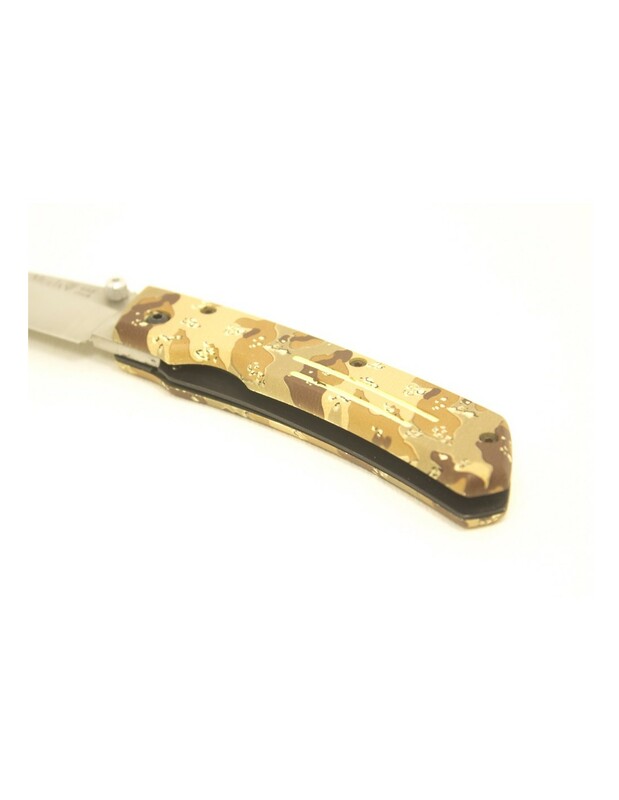 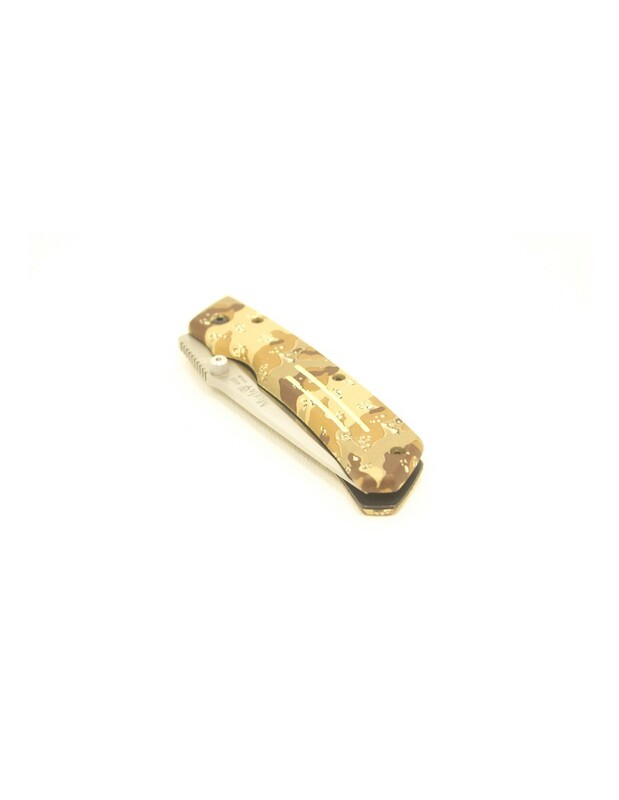 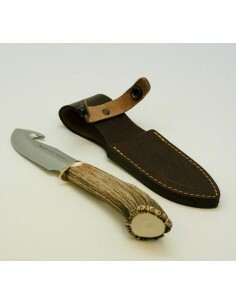 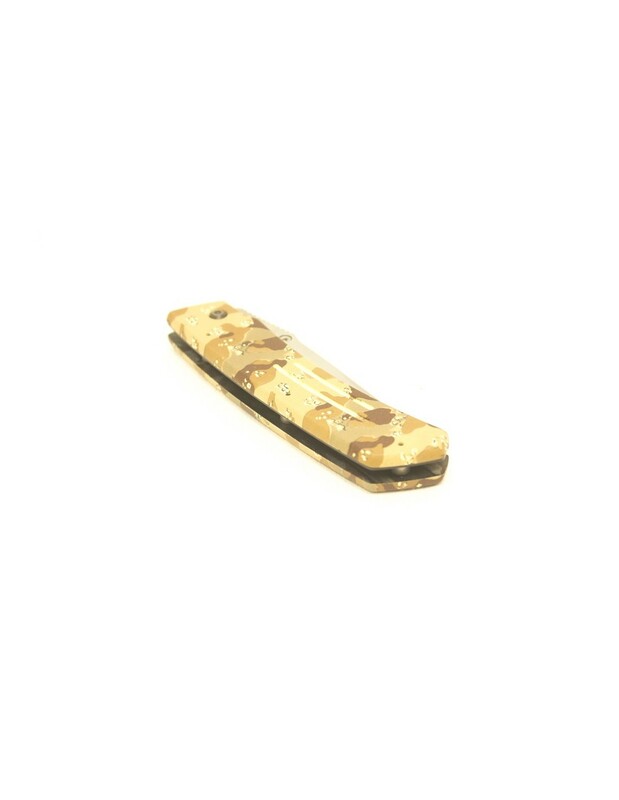 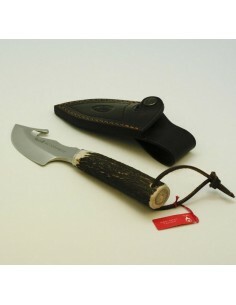 Camouflage tactical pocket knife by Muela. 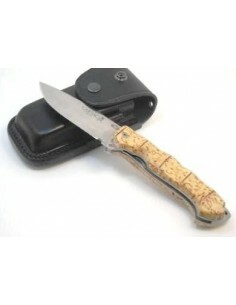 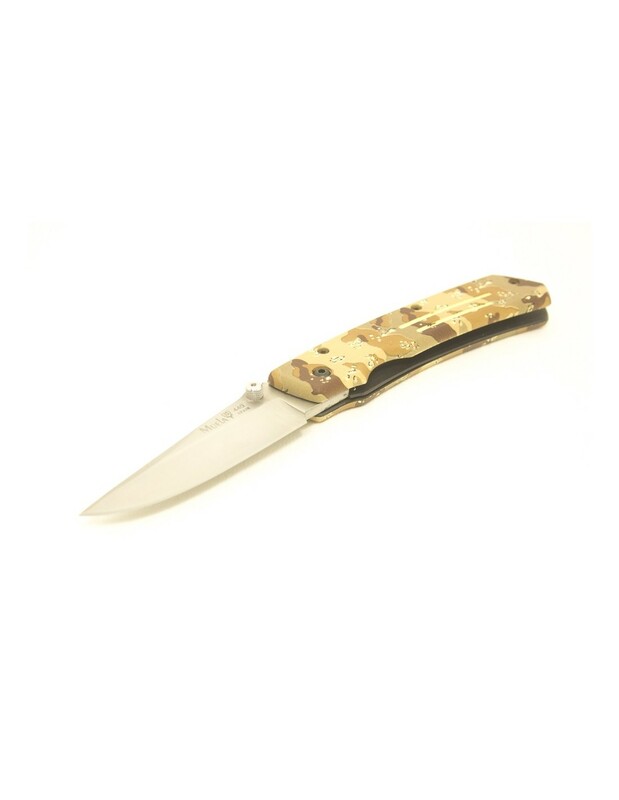 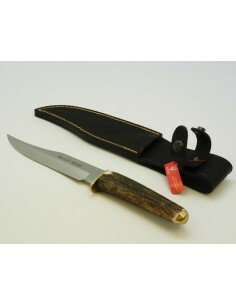 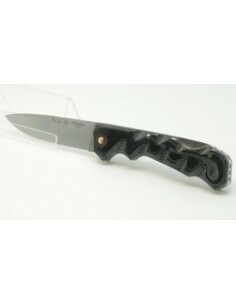 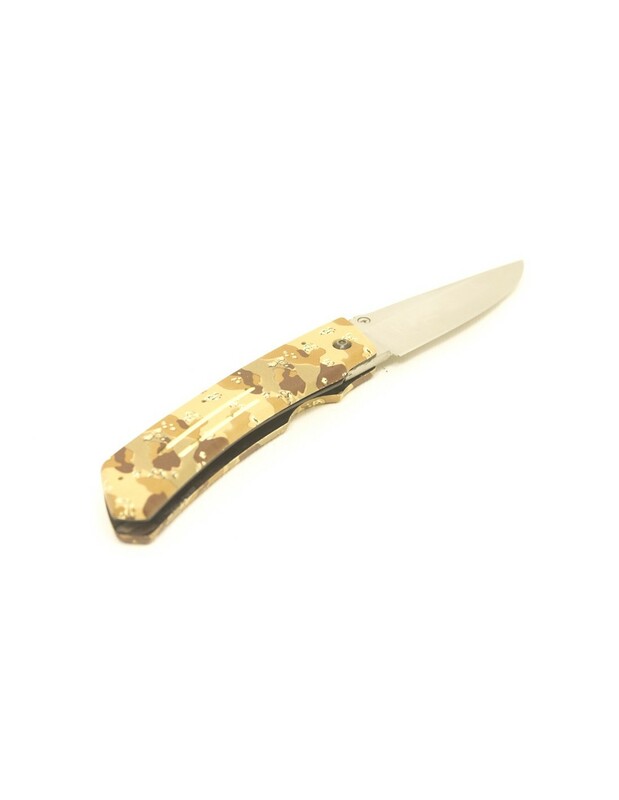 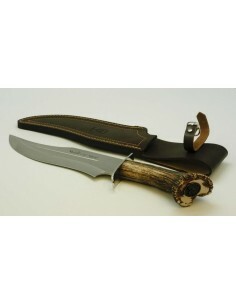 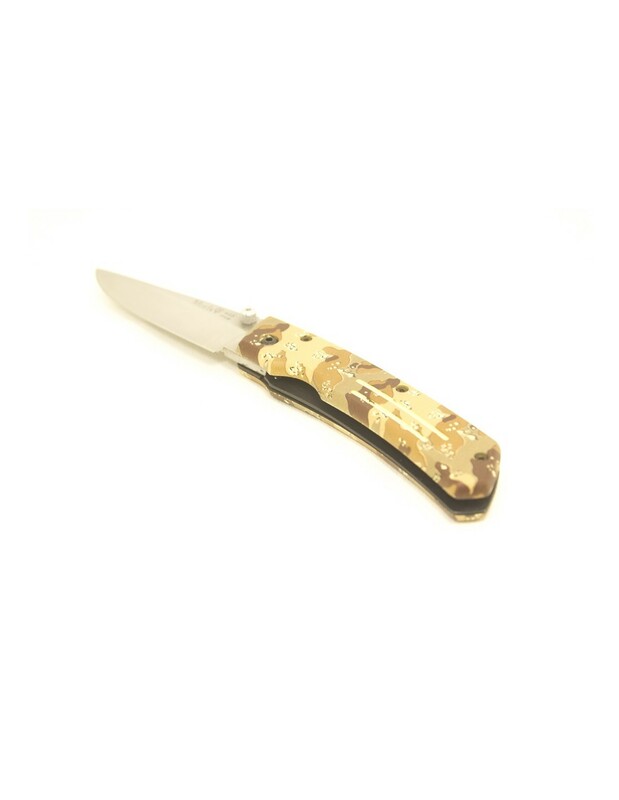 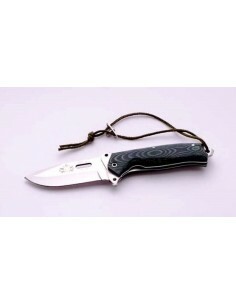 Desert camouflage tactical pocket knife made by Muela, 440 stainless steel blade, 3mm thickness, with hollow, spine decorated for thumb grip, linerlock locking system and liners of stainless steel. 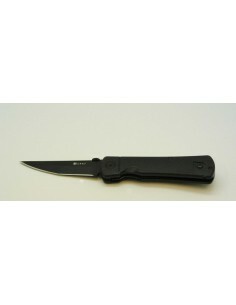 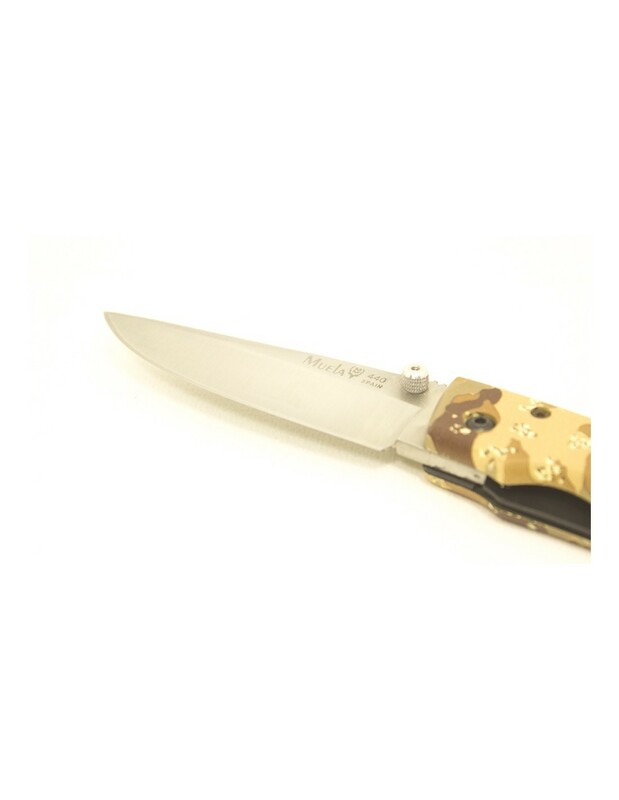 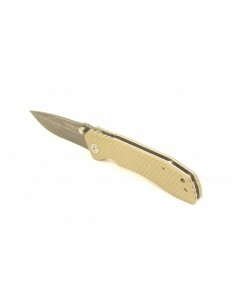 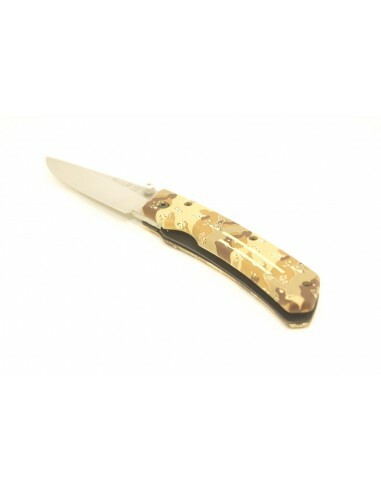 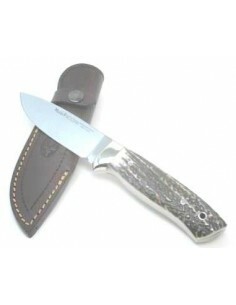 Rubber scales desert camouflage style with allen screws.